Do you know that lord vishnu has 10 incarnations, dus avtar of lord vishnu. If you dont know about it, you can check it here and know more about each and every avtar of Lord Vishnu. Lord Vishnu has 10 incarnations. The First is “Matshya Avatar” in which he has protected Vedas. You can do Purush Suktam path. You can donate Vedas. You have to do Gayatri Mantra. You can also help for providing drinking water. You have to do help to children in their education. Do not underestimate others. You have to help parents and helpless people. You can also drawn 5 fishes in the water. The second is “Kurm Avatar in which he has given Amrita to god. You can do “Om Namo Bhagawate Kurmay Mam Sarvarogan Muchay Muchay Swaha”. You have to do 5 Mala’s for 43 days with Rudraksh mala. After doing this you have to serve dog by feeding sweet chapatti. You have to offer Halva and lentil’s Vada. Take 5 leaves and keep 21 elaichi on it. You should offer it with coconut. You have to do business with your brother or have to do travelling. You can vanish abnormal diseases and receive long birth. The third is “Varah Avatar” in which he has killed “Hiraynaksh”. You can do “Om Namo Bhagawate Varahay Sharnam Gachami”. You have to do mala with Tulsi’s Mala. You have to maintain good relations with colleagues. You have to donate Durva’s Mala with root to Varah God. You have to donate red colors gifts to the sister and sister in law. Do not keep Bamboo, wood and dust in the home. You have to offer such food which is made from Juwar and lentil. You can get success in politics and your superior will be happy with you. The fourth is “Narasimha Avatar” in which he has saved Prahalad. You have to do “Om Namo Bhagawate Narasimha Mama Shatrun Stambhaya Stambhaya Swaha”. You have to do mala with Tulsi or Rudraksh. You can offer mala which is made from 23 lemons to the Narasimha god. You can offer Anar and Rot dainty to the god. You have to fire the stone and wash it in butter milk and use them to make poor’s home. You have to support your younger brother. Do not disrespect widow. You can remove your enemies and get success in court matters. The fifth is “Vaman Avatar” in which he has abortive Bali’s Yagna. Vaman means is short. You have to do Vishnu sahstranam path. You have offer 21 leafs Tulsi Manjari’s Mala to lord Vaman. The sixth is “Parsuram Avatar” in which he has killed devils. You have to do 5 Doha of Ramayana. You have to do Parsuram Chalisa for 40 days. You have to offer mala of black genda flowers. You can offer curd and vada’s dainty. You can give sweets to sister before them going for a job in the morning. You have to serve monkeys by feeding 8 times chana for 11 days. Your knowledge will increase. You will get success in every work. 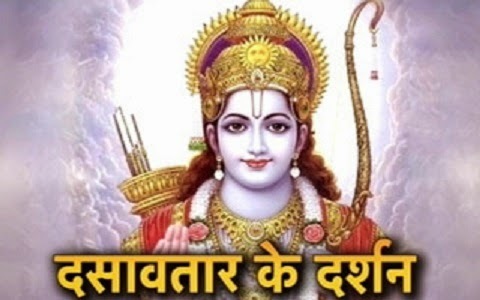 The seventh is “Ram Avatar” in which he has killed Ravan. You have to do Ram Raksha Strot path to worship form lord Rama. You have to do “Om Ram Ramaya Namah”. You can offer Revadi and Jalebi dainty to god. You have to take aashirwad form parents and idols. You can donate clothes. Your prestige will increase. The eight is “Krishna Avatar” in which he has shown his grand nature. You can offer butter and Mishri to lord Krishna. You have to serve banana tree for 1 Thursdays. You have to donate 12 books with yellow clothes. You have to do “Om Namo Bhagawate Vasudeway Namah”. You can also do path of Geeta ever day. Do not afraid of the problems. You should have self confidence. For happy married life you should worship lord Krishna. The ninth is “Buddha Avatar” in which he has shown the way of salvation. The tenth is “Kalki Avatar” in which he will come in Kalyuga.